20 Commercial Real Estate & Properties in Molendinar are listed in 3 categories. We have 15 Industrial Warehouses Lease , 4 OfficesLease and 1 Other Commercial PropertiesLease . 1,930m2 of total building area 9 metre high access Large industrial fans in warehouse Huge industrial sliding roller door 3,700m2 site Open plan work spaces and small office/reception area Amenities onsite including showers Huge onsite car park Quick and easy access to Olsen Avenue and Smith Street Motorway M1 Motorway Approx Disclaimer: Ray White has not independently checked any of the information we merely pass on. We make no comment on and give no warranty as to the accuracy of the information contained in this document which does not constitute all or any part of any offer or contract by the recipient. Prospective purchasers / lessees must rely on their own enquiries and should satisfy themselves as to the truth or accuracy of all information given by their own inspections, searches, inquiries, advices or as is otherwise necessary. No duty of care is assumed by Orchid Avenue Realty trading as Ray White Surfers Paradise Commercial divisions toward the recipient with regard to the use of this information and all information given is given without responsibility. 1,830m2 of total building area Rear storage warehouse with access via roller doors 4,250m2 site Open plan work spaces, a number of executive offices, boardroom and training room Data cabling through the whole building with multiple access points Large amenities onsite including showers Rear warehouse area with 3 x roller door access Huge onsite car park Quick and easy access to Olsen Avenue and Smith Street Motorway M1 Motorway Approx Disclaimer: Ray White has not independently checked any of the information we merely pass on. We make no comment on and give no warranty as to the accuracy of the information contained in this document which does not constitute all or any part of any offer or contract by the recipient. Prospective purchasers / lessees must rely on their own enquiries and should satisfy themselves as to the truth or accuracy of all information given by their own inspections, searches, inquiries, advices or as is otherwise necessary. No duty of care is assumed by Orchid Avenue Realty trading as Ray White Surfers Paradise Commercial divisions toward the recipient with regard to the use of this information and all information given is given without responsibility. 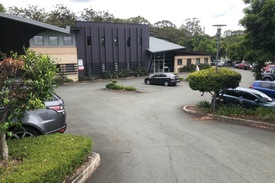 360m² Split over two levels Ample on site street parking for staff clients Air conditioning internally Natural lighting throughout both levels Access from Smith Street Motorway Fully fenced secure complex Located in Molendinar's industrial area, across from Griffith University, 5 minutes from Southport 12 minutes to Surfers Paradise Owners are willing to tidy the premises Open plan office ready to suit your business' needs! Approximately Disclaimer: Ray White has not independently checked any of the information we merely pass on. We make no comment on and give no warranty as to the accuracy of the information contained in this document which does not constitute all or any part of any offer or contract by the recipient. Prospective purchasers / lessees must rely on their own enquiries and should satisfy themselves as to the truth or accuracy of all information given by their own inspections, searches, inquiries, advices or as is otherwise necessary. No duty of care is assumed by Orchid Avenue Realty trading as Ray White Surfers Paradise Commercial divisions toward the recipient with regard to the use of this information and all information given is given without responsibility. Lease $8,950pcm + Outgoings + G..
A rare opportunity to grab a concrete tilt panel industrial factory with an exclusive use hardstand rear yard. 229m2 office warehouse plus a large mezzanine storage area Air conditioned offices High and wide electric roller door Clean amenities including shower and kitchen Practical layout with ground floor reception Glass entry doors Separate kitchen area Loads of on site parking Great location, in the heart of Molendinar with easy access to Smith Street, Southport Nerang Road and the M1 Motorway. Contact exclusive marketing agent James Young for more information or to arrange an inspection. Approx Disclaimer: Ray White has not independently checked any of the information we merely pass on. We make no comment on and give no warranty as to the accuracy of the information contained in this document which does not constitute all or any part of any offer or contract by the recipient. Prospective purchasers / lessees must rely on their own enquiries and should satisfy themselves as to the truth or accuracy of all information given by their own inspections, searches, inquiries, advices or as is otherwise necessary. No duty of care is assumed by Orchid Avenue Realty trading as Ray White Surfers Paradise Commercial divisions toward the recipient with regard to the use of this information and all information given is given without responsibility. Export Drive 113m2 Plus $1,333.3 pcm + GST + Outg.. Newly Refurbished 1,567sqm Warehousing Facility $100/sqm plus outgoings p.. Fully Air Conditioned Office / Warehouse contact agents for leasin..
34 Industrial Avenue is located in the highly sort after Molendinar precinct. The area is well serviced with public transport, allows for easy access to Smith Street Motorway, Pacific Motorway and local amenity which includes Ashmore City Shopping Centre and Aldi. 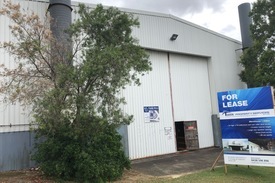 The property features: 1,830sqm freestanding building 5 rollers doors Clean, air conditioned production areas Suitable to range off users Rear roller doors for loading and unloading can be leased with neighbouring buildings The property is a former printing facility which is completely air conditioned and suitable to a number of businesses. For further information on the property and rental rates contact CBRE today. Brand New Boutique Office Building $335 per square metre + o..